The Madrigal dinner was December 11th and December 12th at 6:30. The evening started off by the husbands escorting the wives in to their place on stage. The opening song was Gaudete performed by the Madrigals. After Gaudete, Finnesse came out and sang two songs before the wassail toast. After that the boars head was carried in while the king and queen were speaking. Next dinner was served and then the skit. The dinner was pulled pork, potatoes, and green beans. The skit was a game show that involved picking people to be the Queen’s best friend. When the skit was finished, the concert part of the program began. 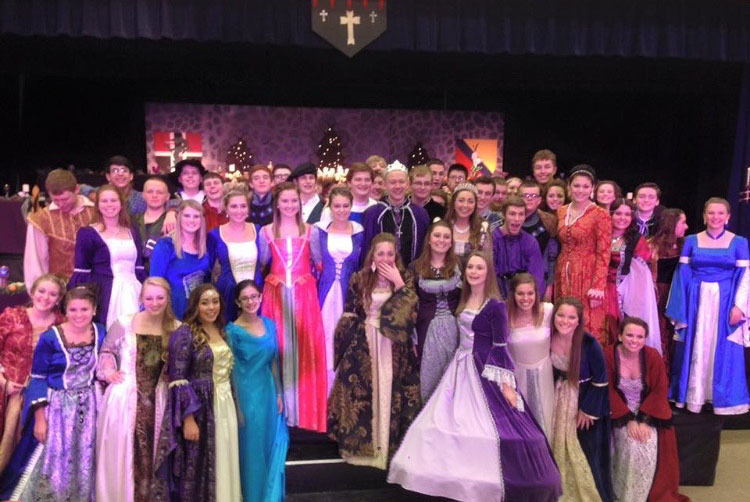 The Madrigal dinner is an absolute must see.